On the 7 and 8th of May, Climate Action Network Australia held their annual conference in Sydney with more than 80 people from 50 different groups around Australia. The conference covered both information sharing on issues such as the Clean Energy Futures Package, Coal and CSG activity, Carbon markets and investment, as well as planning for both the next Federal election and the next few years of climate action in Australia. The longer term planning focussed on 2014, the year that the next IPCC (Intergovernmental Panel on Climate Change)assessment is due and when Australia must place a cap on greenhouse emissions to meet our international treaty obligations. There was general agreement that whatever the focus of our activities over the next few years, our climate change campaigns must involve broader civil society in Australia – finding new ways to talk about climate change so that it can be more easily understood and transferred into individual and collective action. few years – namely The Carbon Price (or Tax as it has been inappropriately dubbed) and the Export of Coal and CSG. Australia is the world’s largest coal exporter, suppling more than 20 countries. According to the Australian Coal Association, our biggest markets in 2009-10 were Japan (39%), China (14%), South Korea (14%), India (11%), Taiwan (9%) and Europe (6%). There are over 100 new coal projects in Australia at the moment, and 8 new major port expansions. The Galilee and Surat Basins in Central Queensland bear the brunt of these new projects, as well as an expanding Coal Seam Gas industry, but there is also new activity in the area around Lakefield National Park, north of Cooktown. This activity includes the Wongai Coal Mine proposal and other exploration licences which almost completely surround Lakefield National Park. Many of these mine proposals are integrated mine projects that include new rail lines directly from each mine, and expanded port facilities. The Abbott Point multicargo facility, just outside of Bowen would be the biggest facility of its kind in the world. As reported in the media, shipping has already increased markedly in the last few years through the Great Barrier Reef World Heritage Area, and is set to increase more than 5-fold over the next 10 years. 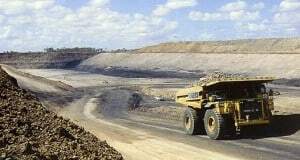 According to the International Energy Agency (IEA) CO2 Emissions From Fuel Combustion report, Australia’s coal and peat related emissions grew from 73.2 million tonnes in 1970 to 220.9 million tonnes in 2009. For the period 1990 to 2009, the emissions belched by the burning of coal and peat (the latter a minor component in Australia) jumped 61%. In addition to the emissions generated locally, the total emissions generated from Australian coal burned elsewhere combined with local figures would be staggering. The IEA states two-thirds of global emissions for 2009 originated from just ten countries; with China and the United States combined producing 41% of the world’s carbon emissions. The IEA points a finger at electricity/heat generation and transport as being major culprits, producing nearly two-thirds of global carbon dioxide emissions in 2009, up from 58% in 1990. However we will not be exporting forever. Every country wants energy independence, and China and India are looking to stockpile cheap coal while they can, whilst also reducing their internal use of coal, and building more renewable energy infrastructure. Coal Seam Gas has its own horrendous story to tell. Many of you have seen the US documentary Gasland and the impact that underground gas removal through fracking can have on local water supplies,communities and the vegetation clearing required for infrastructure. The previous State Government believed CSG was the ‘transition’ energy source from coal to renewable (over 40 years) – and we can probably expect increased support for CSG from the new State Government. In today’s political climate and the critical importance of presenting a credible alternative energy future for Australia, the environment network must continue to build broad networks across sectors and articulate a bold, clean and renewable vision for our energy needs. CAFNEC will continue to work with allies across Australia to burst the ‘Carbon Bubble’ through our renewable energy campaigns. We will also be focusing effort into the Coal and CSG expansion across Queensland as it directly links to the management of the Great Barrier Reef World Heritage Area and Australia’s contribution to climate change. A 2-day conference is planned in Mackay for the last weekend in July (28-29th) about coal and CSG in the Galilee Basin. If you are interested in attending this conference please contact Sarah Hoyal at the CAFNEC office 4032 1746.